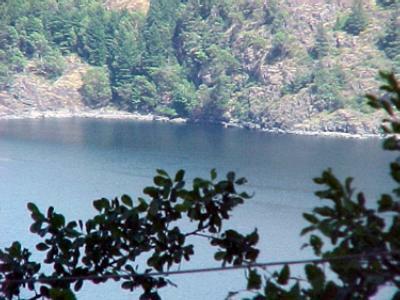 The property is known as the Malahat Ocean View Motel. 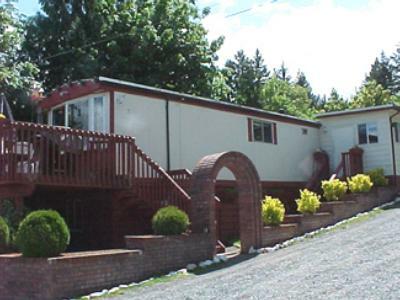 Adjacent to the Trans Canada Highway, it is situated midway between the capital city of Victoria and the community of Mill Bay, on Vancouver Island British Columbia. 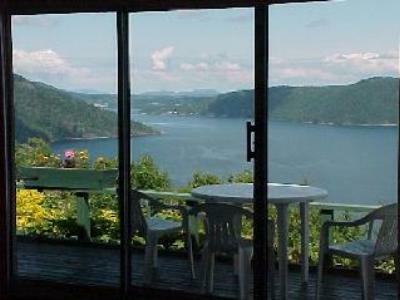 Perched on 13.8 acres of land this property offers some of the most incredible views the island has to offer. $160,000 for equipment at fair market value. $300,000 is the business value based upon 3x Normalized Net Earnings. $150,000 in leasehold improvements to the buildings and property. (George feels this figure could be doubled as they have spent over half a million dollars doing improvements). $776,000 is the Government of BC assessment on the land only. $400,000 Value added to land value re Grandfathered Commercial status. For the purpose of this value statement George and Leita are using these figures but feel the real land value could be triple or more re Grandfathered Commercial Status. This is where people in the area come for mail and is an established community asset adding to the quality of life in the neighbourhood. Some people may be of the opinion of, "why do all the work running the store, post office and gas station when the property may lend itself better to condo or hotel development?" It would seem like a reasonable trade-off in traffic flow so that any development should be quickly approved as the land is grandfathered for commercial zoning. It should also be noted that the entire property is fitted with a state-of-the-art, fully-approved sewage system. This can easily be expanded as the property is developed. Excellent supply of quality water from a 600' well.